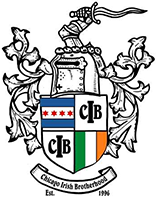 As a warm-up for St. Patrick’s Day, the Chicago Irish Brotherhood hosted a fundraiser for Autism Speaks at The James Joyce in Berwyn on Feb. 22, 2012. The packed house helped raise $1,500 for the children’s charity that helps battle Autism and the C.I.B. 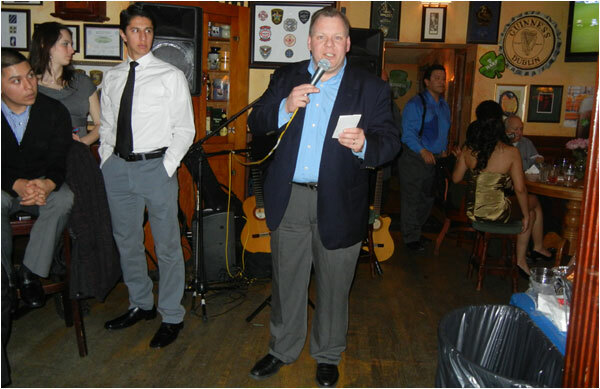 was very happy to “Fáilte” some old and new friends, especially Charlie and Lisa Hernandez. Charlie has been a member of the C.I.B. since the beginning and Lisa serves as an Illinois State Representative. The C.I.B. was also happy to have Patrick Daley Thompson on hand to say a few words about the good deeds of the organization. To cap off the night, a very Happy 55th Birthday was shouted out to C.I.B. member Brian Dolan. Many thanks to our gracious hosts Colin Downes, C.I.B. President, and Chalky White who own The James Joyce and always throw a great party for a good cause. Lastly, the C.I.B. would like to thank Member of the Year Larry Gworek for for his continued generosity.